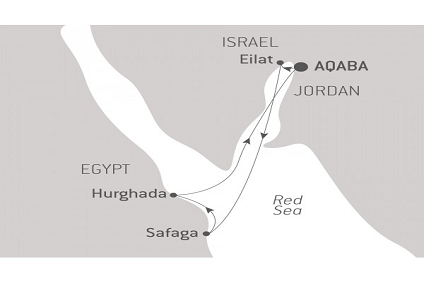 7 Night Cruise sailing from Aqaba Return aboard Le Ponant. 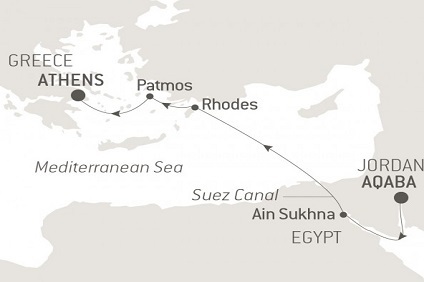 9 Night Cruise sailing from Aqaba to Antalya aboard Le Ponant. 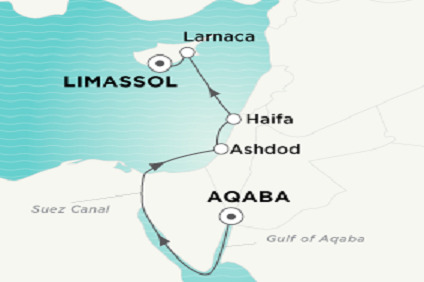 9 Night cruise departing from Aqaba to Limaassol onboard Crystal Esprit. 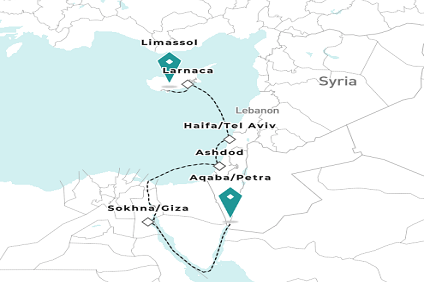 7 Night cruise departing from Aqaba to Athens onboard Le Lyrial.